By legal definition, a contract is “an agreement creating obligations enforceable by law… The law provides remedies if a promise is breached or recognizes the performance of a promise as a duty. Contracts arise when a duty does or may come into existence because of a promise made by one of the parties. To be legally binding as a contract, a promise must be exchanged for adequate consideration. Adequate consideration is a benefit or detriment that a party receives which reasonably and fairly induces them to make the promise/contract” (Legal Information Institute at Cornell University Law School). Accordingly, the State of Illinois has a long list of antedated court rulings upholding the rights and benefits (contracts) of its public employees. According to philosopher David Hume, the idea of keeping a promise depends upon creating rules of justice; that rules of contracts, for instance, have to be considered morally desirable as well. In other words, a "contract" or promise between the State of Illinois and its public employees must be viewed as a moral commitment and requirement of justice. Justice demands we keep our "covenants" with one another. In regard to public pensions, keeping an agreement means a concern to promote the well-being of public employees and the need to secure their rights. All citizens have rights that must be protected. When legislators swear an oath to uphold the state and federal constitutions (Article XIII, Section 3 of the Constitution of the State of Illinois), then citizens of Illinois and the United States have also acquired the right to expect that they will uphold that pledge. This is also a matter of important moral concern for all citizens of a state, for all legal claims will be validated by a moral framework since the concept of justice is grounded in ethics. If citizens’ legal rights are abused, then their dignity and humanity will also be violated. As stated by Alicia H. Munnell, Director of the Center for Retirement Research at Boston College, Illinois is one of seven states where accruals are protected, and the legal basis for protection of public pension rights is under state law (State and Local Pensions). Like all other citizens, public employees’ legal rights are derived from past political constitutions, legislative enactments, and case law. All citizens of Illinois have a fundamental right to oppose a General Assembly that imposes a violation of their constitutional rights and earned benefits… According to Laurence Tribe, professor of constitutional law at Harvard Law School, “Any statute which [is] imposed upon [public employees]… in order to redistribute resources and thus benefit some persons at the expense of others [extends] beyond the implicit boundaries of legislative authority. Such laws…violate natural rights of property and contract, rights lying at the very core of the private domain” (American Constitutional Law). Current pension reform is without legal and moral justification; furthermore, to call it "pension reform" when it is "breaking a contract" is a fabrication. “Wherever there is a right, the case is one of justice and not of the virtue of beneficence… When we call anything a person’s right, we mean that he [or she] has a valid claim on society to protect him [or her] in the possession of it, either by the force of law or by that of education and opinion” (Mill, Utilitarianism). The significant issue of pension reform is its attack on public employees’ rights to constitutionally-guaranteed, earned compensation and the legislators’ obligation to safeguard those promises. An unconscionable constitutional challenge of those rights and earned benefits generates a serious threat to their secure sense of worth as citizens and creates the unfair possibility for an economic disadvantage for a particular group of people and their families. This can never be legally or morally justified. Public employees are promised certain retirement compensation. It is earned; it is not a gratuity. They expect and plan their lives based upon these promises. “The very idea that [the state can] hold [public employees’ lives], or the means of [their] living, or any material right essential to the enjoyment of life, at the mere will of another ‘has been thought’ intolerable in any country where freedom prevails” (Locke, Two Treatises of Government). State “governments must respect ‘vested rights’ in property and contract…” (Tribe). We should be able to assume most legislators in Illinois understand this concept of justice and that lawfulness demands that people keep their "covenants" with one another. Regarding current pension reform, no justice is accomplished when subordinating or diminishing public employees’ rights and earned benefits because of past legislators’ negligence, irresponsibility, and corruption. All citizens of the State of Illinois have legal justification for their rights. As stated, the foundation of their rights is the State and U.S. Constitutions that directly support any claims against them. State contracts are protected by the federal government. Understandably, the 5th and 14th amendments of the United States Constitution protect due process of law. The legal basis for protection of past-and-future public pension rights are established in both constitutions. John Stevens, legal consultant for the Illinois We Are One Labor Coalition, stated most recently that “to take away the Cost-of-Living Adjustment for retirees is not a free and fair choice. It is a coercive choice under duress.” In other words, duress (or coercion) is a vitiating factor. Legislators of the State of Illinois are breaching a contract by forcing public employees to make a choice to diminish their originally-vested guarantee. They are breaking an enforceable promise, one that is bilateral and emphasizes an agreement between the State of Illinois and its public employees as to their future rights and earned compensation. To impair the obligation of a contract is to lessen its value. "Any law which changes the intention and legal effect of the original parties, giving to one a greater and to the other a less interest or benefit in the contract, impairs its obligation" (115 A. 484, 486). State statutes which do so are prohibited by Article 1, Section 10 of the United States Constitution. Any pension reform with a coercive choice offers public employees no ethical and lawful alternatives except to consent to the General Assembly's demands by choosing between two illicit choices. It is unlawful because of the illegitimacy of the General Assembly's advantageous attempt to renegotiate a constitutionally-guaranteed contract; it is unlawful to induce undue pressure upon public employees to make an unfair choice; it is an unjust financial enhancement for the General Assembly because it is a breach of contract for public employees to receive less than what the original vested right and earned compensation guaranteed, and it is a blatant exploitation of influence to obtain an unwarranted advantage. American moral and political philosopher, John Rawls, once stated: “Each person possesses an inviolability founded on justice that even the welfare of society as a whole cannot override… It does not allow that the sacrifices imposed on a few are outweighed by the larger sum of advantages enjoyed by the many. Therefore, in a just society the liberties of equal citizenship are taken as settled; the rights secured by justice are not subject to political bargaining or to the calculus of social interests” (A Theory of Justice). "The notion that, whenever a privilege or benefit might be withheld altogether, it may be withheld on whatever conditions government chooses to impose, has been repeatedly repudiated since the mid-20th century... Unconstitutional conditions – those that make enjoyment of a benefit contingent on sacrifice of an independent constitutional right – are invalid..." (Tribe). Breaking a contract threatens the integrity of all laws that govern and protect the citizenry, for the values of the United States Constitution (Article I, Section 10) and the Illinois State Constitution (Article I, Section 16 and Article XIII, Section 5) are dependent upon the understanding and integration of all of the articles and amendments in totality. Moreover, American philosopher, Tom Beauchamp, states: “the strength of the constitution[s] would not be proven by considering each article or amendment in isolation from the others” (Philosophical Ethics). As citizens, we are advocates of a unification of the Bill of Rights in the United States Constitution, which protects all of us from any violations of human rights and contracts, as much as we would wish others to be motivated by a way of life that is also governed by a complete moral system of thinking. There are no good reasons for legislators’ attack on public employees’ rights and benefits and their attempt to equate public employees' lives to an exchange rate in dollar amounts. The General Assembly cannot justify pension reform in accordance with fundamental, constitutional principles of reason and morality. What we call rights of individuals is bound up with the theory and precepts of social and political justice we adopt (Mill, On Liberty). All citizens of the State of Illinois have legal justification for their rights and for compensation they have earned, for rights and obligations are logically correlative, and a citizen’s rights imply or complement the legislators’ obligation to guarantee them. The keeping of promises is the General Assembly’s legal duty. It is something the United States Constitution requires them to do whether they want to or not. Unfortunately, many legislators are willing to act without moral or ethical principles, even though “claims of rights [are] prima facie or presumptively valid-standing claims” (Beauchamp). What is at stake right now is not a potential adjudication of claims that public employees will have against policymakers who want changes to public employees’ benefits and rights, but to respect the public employees’ contractual and constitutional promises because they are legitimate rights and moral concerns not only for public employees, but for every citizen in Illinois: for any unwarranted act of stealing a person’s guaranteed rights and compensation will violate interests in morality and ethics and the basic principles of both the State and United States Constitutions that protect every one of us. For that reason, it is imperative that policymakers and stakeholders examine their own ethical and moral principles and their conduct in view of the fact that they will have to justify their decisions to the citizens of Illinois. Certainly, moral responsibility and legal obligation to fund the public pension systems should not be ignored. It is a moral concern and legal duty to reform the state's sources of revenue and to address the incurred pension debt through restructuring so the state can provide services for its citizens and fund the public pension systems instead of incriminating public employees, and thereby forcing them to defend the State and United States Constitutions. It is the State of Illinois that has the "primary responsibility for financing the system of public education" (Article X, Section 1 of the Illinois Constitution), and the public employees’ pensions are an integral part of “the system of public education” in Illinois. There is no justice in granting financial benefits for the wealthy among us and attempting to place the burden of financing public pensions upon schools and taxpayers by Illinois policymakers; there is no justice in granting tax breaks for wealthy corporations and, at the same time, legislating cuts to public employees’ and retirees' constitutionally-promised compensation. It is ethically wrong to perpetuate unfair distributions of debts in Illinois, especially when Illinois legislators give “undeserved weight to highly-organized wealthy interest groups, [those groups] tending to ‘drain politics of its moral and intellectual content’” (Tribe). “The Pension Clause [Article XIII, Section 5 of the Illinois Constitution] not only makes a public employee’s participation in a pension system an enforceable contractual relationship, but also constitutionally protects the pension benefit rights contained in the Illinois Pension Code when an employee joins a pension system, including employee contribution rates. The Clause also safeguards pension benefit enhancements that are later added during employment. 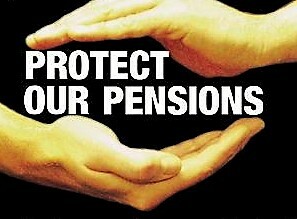 Further, the Clause ensures that pensions will be paid even if a pension system defaults or is on the verge of default. Finally, while the Clause bars the General Assembly from adversely changing the benefit rights of current employees via unilateral action, these rights are 'contractual' in nature and may be modified through contractual principles. In sum, while welching on public pension promises is not an option for Illinois as some legal and civic commentators have suggested, legitimate contract principles provide a solution to mitigate this crisis” (Madiar, Chief Legal Counsel to Illinois Senate President John J. Cullerton and Parliamentarian of the Illinois Senate, Abstract for Is Welching on Public Pension Promises an Option for Illinois? An Analysis of Article XIII, Section 5 of the Illinois Constitution). If policymakers do not take individual rights and contracts seriously, but prefer to challenge them in a court of law, then we can assume legislators of the Illinois General Assembly will not take any of their other laws seriously either. To “let the courts decide” (Michael Madigan) is a travesty of justice, a costly effrontery and negligence of a legislator’s oath of office. Beauchamp, Tom L. Philosophical Ethics: An Introduction to Moral Philosophy. New York: McGraw-Hill, 1982. “Constitution of the State of Illinois, Constitution of the United States.” 2011-2012 Illinois Handbook of Government, May 2011. “Hume’s Moral Philosophy,” Stanford Encyclopedia of Philosophy Online. 2004, 2010. Law Dictionary, 6th edition. Ed. 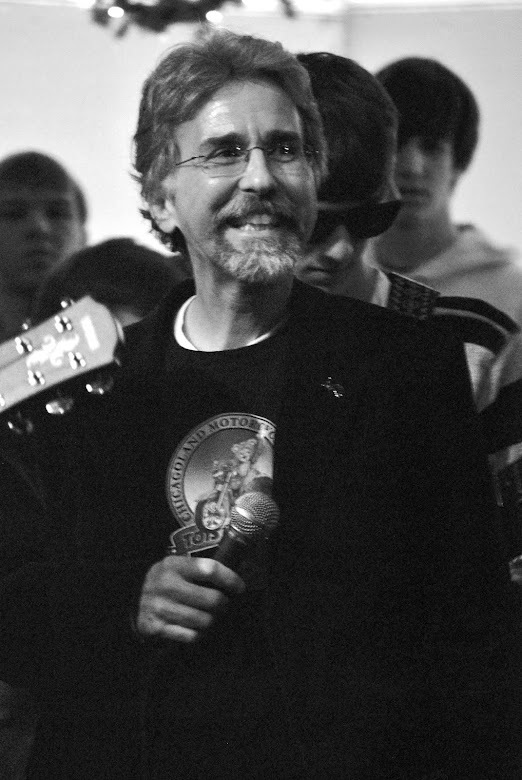 Steven H. Gifis. New York: Barron’s Educational Series, Inc. 2010. Locke, John. Two Treatises of Government. Ed. Peter Laslett. Cambridge: Harvard University Press, 1988. Mill, John Stuart. Selected Writings of John Stuart Mill. Ed. Maurice Cowling. New York: New American Library, 1968. Munnell, Alicia H. State and Local Pensions: What Now? Washington, D.C.: Brookings Institution Press, 2012. Rawls, John. A Theory of Justice. Cambridge: Harvard University Press, 1973. Tribe, Laurence H. American Constitutional Law. New York: The Foundation Press, Inc., 1988. For Illinois Supreme Court ruling on May 8, 2015, Click Here. Hi Glen, I posted this comment on Diane Ravitch's blog where she linked to this wonderful blog and thought I'd repost here. This story caught my attention on NPR’s Planet Money in May, 2012. I am not a lawyer, but this court outcome has wide implications for public pensions. The Northern Marianas pubic pension story might give some context to the effort of the edu-reformers to break teachers’ pension obligations and Madigan’s willingness to “let the courts decide.” A judge in the Marianas is determining the fate of public pensions for public employees on this American Protectorate. Madigan, et al may be counting on this court case to set the legal ground for breaking public pension contracts. The Northern Marianas pension fund is the first public pension fund in the U.S. to seek bankruptcy protection. I don’t think it will be the last. Chris Christie is running around NJ screaming about teacher’s unreasonable pensions and the state pension shortfall. They and other pension Henny Pennys fail to inform the public that governors like Christine Todd Whitman in NJ and Jeb Bush in FL borrowed money from the teacher’s pension funds to pay other debts (Bush used the money to bail out Edison Schools when they mismanaged their money running FL charter schools) and those funds have never been paid back. Hence, shortfalls. It’s no surprise the Marianas would be the test case to legalize a corrupt scheme to steal the livliehoods of average government workers. It’s the home of Jack Abramoff and Tom Delay and a tax shelter heaven for corporations. Someone should investigate the judge hearing this case and the REAL reason state pension funds are in shortfall. Theft, corruption, and greed by the financial industry and congress might be buried in the files. “Benefits were to good” is a lie being perpetrated by the tapeworms in the financial industry and edu-reformy types. In 1959, the Justice Dept indited Jimmy Hoffa for “borrowing” from the Teamsters pension. Hoffa planned to invest the money a financial scheme,that when he cashed out, he would repay the teamsters retirement fund. That used to be called fraud until the financial industry in collusion with corrupt politicians turned private corporation’s defined retirement plans over to Wall St. who sold average worker on 401K’s and IRAs -the gift that allowed corporations to funnel workers salaries into the coffers of Jimmy Hoffas in the financial industry. Then Enron bankruptcy happened-The Enron bankruptcy case permitted corporations to pay off investors instead of worker pensions. Millions of average workers lost their pensions and were left destitute. In the mean time all through the 1980′s and 1990′s govt officials all over the US started “borrowing” from government workers pension funds- saying they’d pay it back when financial coffers grew. 30 years of tax breaks for millionaires, billionaires, and capital gains drained state coffers and govt officials never returned those “borrowed ” funds. Sounds like fraud.- But NO. It’s those greedy police, firemen and teachers who don’t “deserve” such a pension plan. Wall St will crack open the last protected pensions under the guise of lazy workers getting extravagant retirements. The financial industry wants all of our money- state, federal pensions AND social security to enrich themselves. This case could give it to them. “Most states… cannot readily reduce their existing pension obligations to their employees in an effort to solve a fiscal crisis, and until recently few even tried… It is worth noting the inequity inherent in cutting pensions promised to state and local public servants based on alleged underfunding that was substantially caused, in many cases, by funding “holidays…” [Approximately $15 billion was stolen from the Teachers Retirement of Illinois. This amount does not include the possible investment income that would have been earned]. “[Any] attempt to denigrate the validity of decades of judicial precedents about the binding nature of legislation establishing pension commitments to government employees and to motivate state courts to overturn long-settled premises about these commitments would impose its own, unjustifiable costs. The states and their instrumentalities have promised pension benefits to their employees; those employees have relied on those long-standing promises; and as a result the citizens of the states have benefited from the services provided by those employees…” (Douglas L. Greenfield and Lahne, Susan G. (2012), How Much Can States Change Existing Retirement Policy? In Defense of State Judicial Decisions Protecting Public Employees’ Pensions). There are several antedated court cases that uphold the Illinois Constitution. For more analyses, click on the “pension analyses” tab under the blog’s masthead. SB 1673: What Do We Do Now, Teachers?